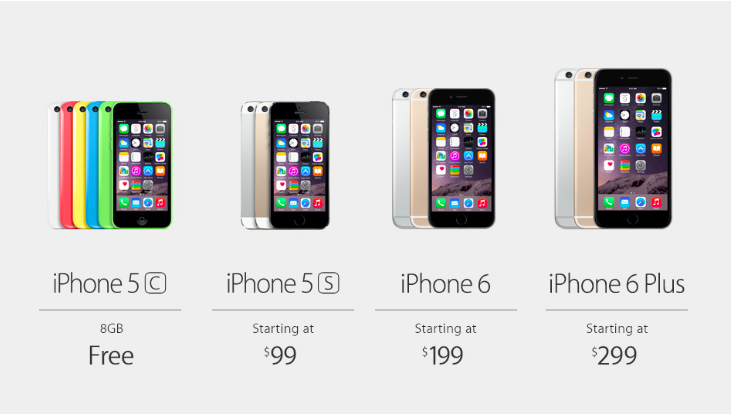 Apple announced new additions to the iPhone lineup at an event in Cupertino, California on Tuesday. There are two new models, both of which are bigger, faster, and skinnier. 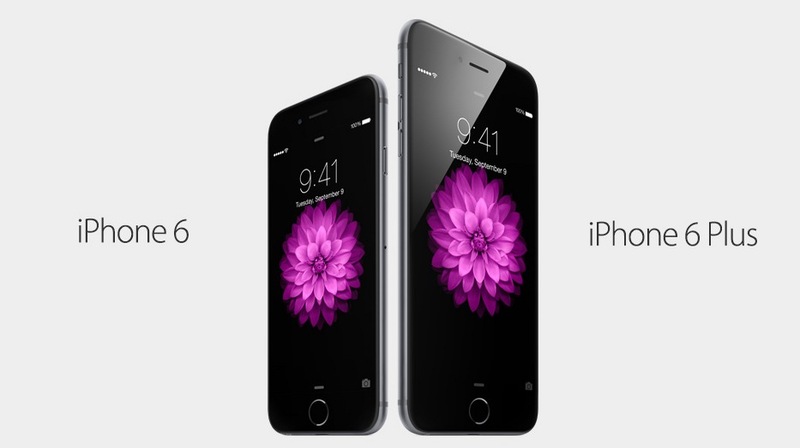 The eighth generation of the iPhone is actually two devices. One will have a 4.7-inch screen and will be called the iPhone 6, and the other will have a 5.5-inch screen — larger than most Android devices — and is now called the iPhone 6 Plus. Both iPhones will start shipping on September 19, and pre-orders start this Friday, September 12. The iPhone 6 will follow the same pricing scheme as previous iPhones, with the 16GB model starting at $199 with a two-year contract. But the iPhone 6 Plus will be $100 more expensive, with the 16GB model running $299 with a two-year contract. Both phones have received a complete physical redesign. The new look actually has a little bit of the original iPhone in it, with rounded corners and a smooth aluminum shell. There are two cutout bands on the top and bottom of the back side, and a new, slightly protruding camera near the top. Apple has dropped the circular volume buttons and gone with skinny, pill-shaped buttons that resemble those on the iPhone 5c and iPod touch. Both new devices are thinner than the previous devices: According to Apple, the iPhone 6 is 6.9mm thick, and the iPhone 6 Plus is slightly thicker, at 7.1mm. If you were worried that the bigger screen could introduce ergonomics issues, Apple has added a new “reachability” feature to the iPhone 6 Plus, which is activated by double-tapping the Touch ID button. The iPhone 6 Plus home screen will gain a landscape mode, with dock buttons moving to the right hand side. One of the big draws for the new iPhones is shaping up to be battery life. 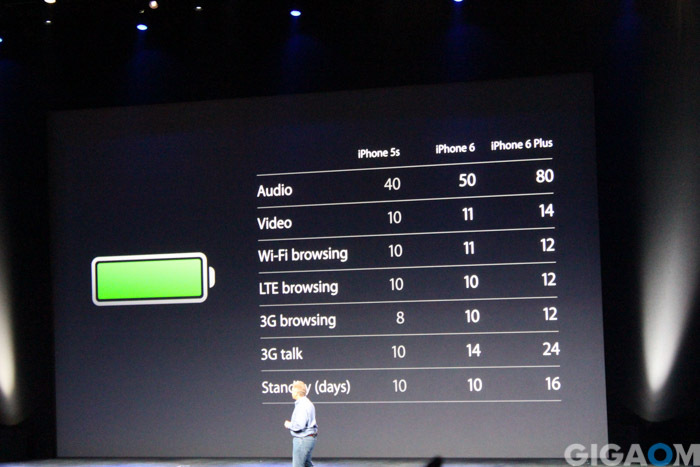 The newest iPhone will have “equal or better battery life in almost every metric than the iPhone 5s,” Schiller said. The iPhone 6 Plus, due to its larger battery, will get more run time than the iPhone 6, but you can expect both to beat the iPhones currently on the market. Both iPhones will be powered by Apple’s latest system-on-a-chip, the A8. It’s a 64-bit chip forged on a 20 nanometer process. Apple promises 25 percent faster CPU performance and 50 percent faster graphics performances, but many of its real-world gains will come from a reduction in power consumption. Schiller said the chip is 50 percent more energy efficient. Apple has added a few new components to the A8 SoC, including a new M8 sensor and motion coprocessor, which now comes with a barometer sensor. The camera has clearly been a point of emphasis. The new iPhone comes with an 8 megapixel shooter, with a f/2.2 aperture lens. The camera takes advantage of what Apple calls “focus pixels” for phase detection autofocus, which promises autofocus that is twice as fast. Panorama mode now can go up to 43 megapixels. 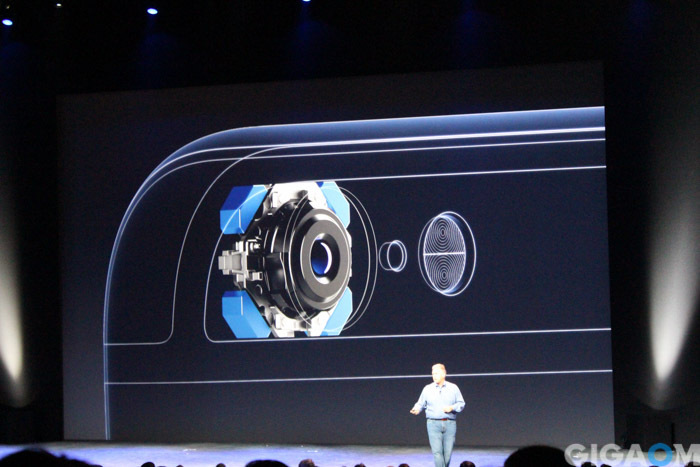 The iPhone video camera can now film 1080p at 60 frames per second, and can even film slow-mo up to 240fps. The front-facing FaceTime camera also got an update, with a f/2.2 aperture, improved face detection — with dedicated hardware — and a burst mode. The iPhone 6 Plus will have optical image stabilization, another differentiating feature from the iPhone 6, which only had digital stabilization. Bigger isn’t better. I have both a 5s and Note 3. The Note 3 is about as big as a phone should be IMHO. As a guy I don’t carry a purse, “man bags” went out in the 80s and attaching it to my belt via a holder is not always desirable/feasible. Also, reaching into my briefcase or backpack/gym bag, neither of which I always carry, to get to my phone is inconvenient to say the least. My point, if a phone can’t fit comfortably in a front or back pants pocket then its too big and I don’t want it. The Note 3 is right at that border of being too big and the fact that the 6Plus is physically bigger than the Note 3 and 4 puts a damper on my enthusiasm. How could Apple screw up the physical design. Sure its only 4.6mm bigger but in the world of phones where fractions of millimeters count and the human hand and eye can discern those infinitesimally small differences it does matter. I, for one, don’t want a bigger phone than my Note 3 and was looking forward to Apple’s new iphone offering. Now I’m not so enthusiastic. If Steve was still here Apple would have nailed it (and Samsung). R.I.P. Steve. As for the iWatch . . . I guess we will wait and see. style and design, but what about #SafetyFirst can we address those issues to?! i hope its just a given that these new devices are pushing the advancement of EMF containment, etc. but it would be nice to know that information as well to make, you know, a well informed decision on devices we put so close to not just our heads but those of our children! cheers and thanks for the update on apple’s new products. this is probably the worst keynote ever. server so unstable, can’t stand the secondary Chinese dubbing. so disturbing. and the Phone?? note 4 def. has the edge this time. samsung, you win this time.